Marching back ten generations, you would expect to find that you have 512 seventh great-grandparents. You know how this works. It's a math thing. There's you, then your two parents, four grandparents, eight great-grandparents, and so on until you reach the tenth generation. 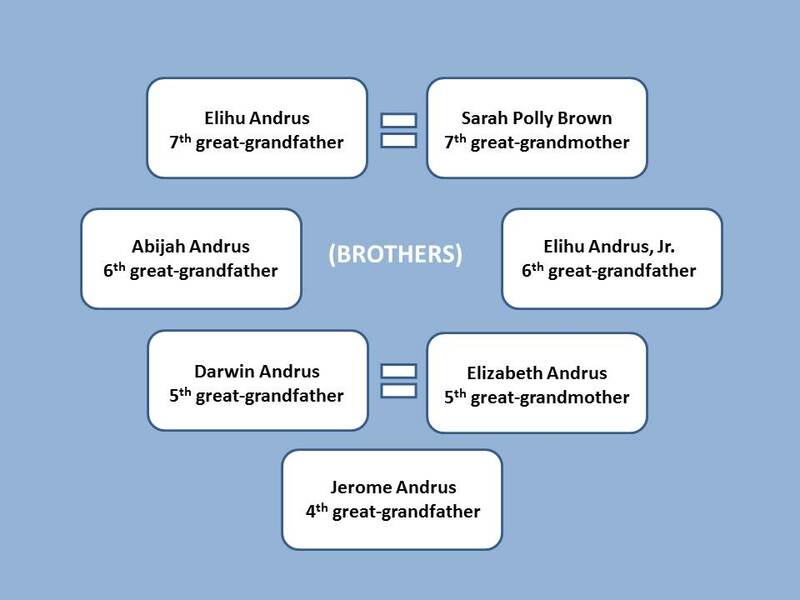 The numbers game dictates that there should be 512 individuals who played their part in parenting the child who would become one of your 256 sixth great-grandparents. 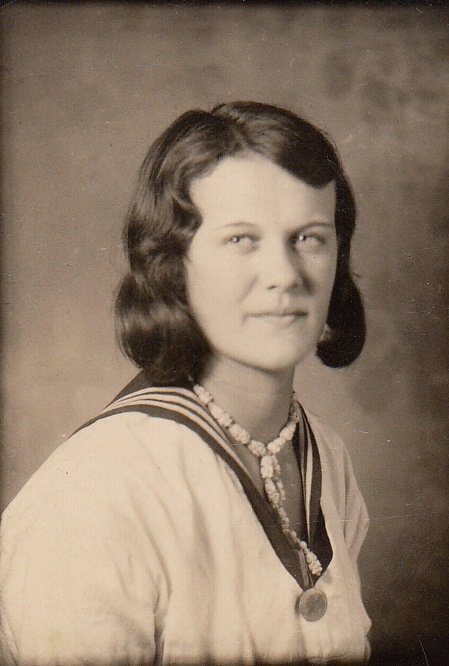 When I hit a brick wall researching my family, I like to revisit my great-grandmother Nevella's family line. It's well-documented and goes back for generations. She did such a lovely job passing along family history. It's an encouragement to see the names and dates meticulously kept. 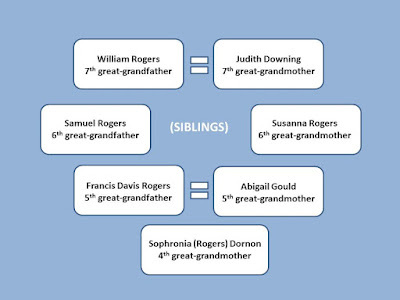 So imagine my surprise - as I was reveling in her well-documented family line - to discover that two of my sixth great-grandparents were siblings, and that their children - my fifth great-grandparents - married each other. Yes, my fourth great-grandfather Jerome Andrus was the child of first cousins whose fathers were brothers. Did you follow all of that? The shock didn't end with great-grandma Nevella's Andrus line. Her tree included another set of fifth great-grandparents who were married first cousins. Do you have your scratch pad ready? My fourth great-grandmother Sophronia (Rogers) Dornon was the daughter of first cousins Francis Rogers and Abigail Gould. Abigail's mother was sister to Francis' father. Abigail and Francis shared a set of grandparents: William and Judith (Downing) Rogers. My genealogy to-do list just got a little easier. 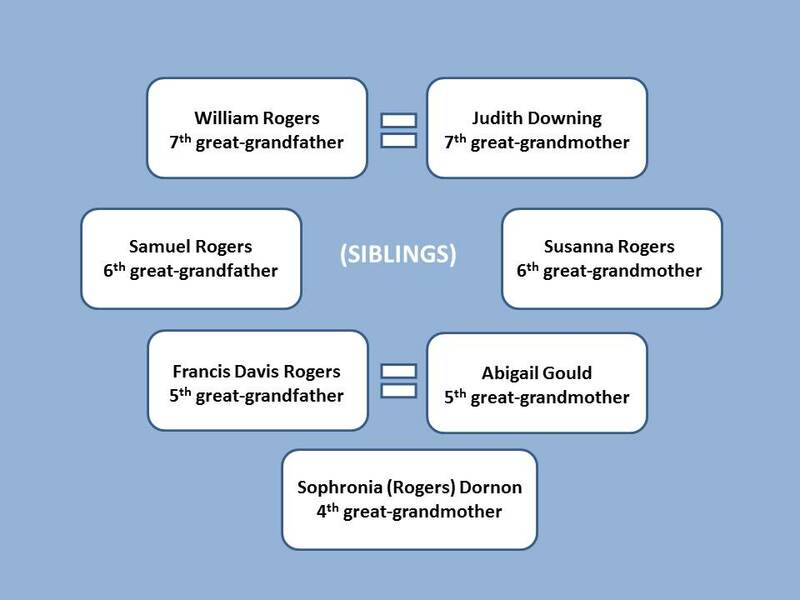 Of the 512 seventh great-grandparent slots in my family tree, four people fill the role of eight. That's four fewer people I have to research and find. The genealogist in me is a bit relieved (now if I could just calm the hypochondriac in me who's on edge about the genetic abnormalities lurking in the DNA...). It really shouldn't come as a surprise that pedigree collapse pruned my family tree. 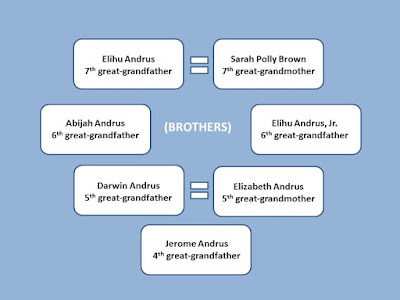 Population statisticians are quick to point out the dilemma with genealogy's math game - the numbers simply aren't there. There are legitimate reasons for close marriages throughout history. For centuries, technology precluded humans from moving great distances. There were no airplanes, trains, or cars. Movement was limited, so many societies lived in tight knit communities. Marriage within those communities was bound to cross family lines. In fact, Robin Fox, a professor of anthropology at Rutgers University, is on the record approximating that "80 percent of all marriages in history have been between second cousins or closer." The dynamics of society only a few generations ago left few options: families would eventually intermarry (and put a whole new spin on the term kissing cousins!). This eyebrow-raising reality (by today's moral standards) will save me precious research time. I'm thankful for that! Is it so wrong to root for pedigree collapse? I suppose as long as I don't come out of it suffering like Spain's King Charles II whose physical, mental, and emotional ailments have been attributed to the fact that only 32 people filled his 64 fourth great-grandparent slots. Yikes! I suppose there is a tipping point. 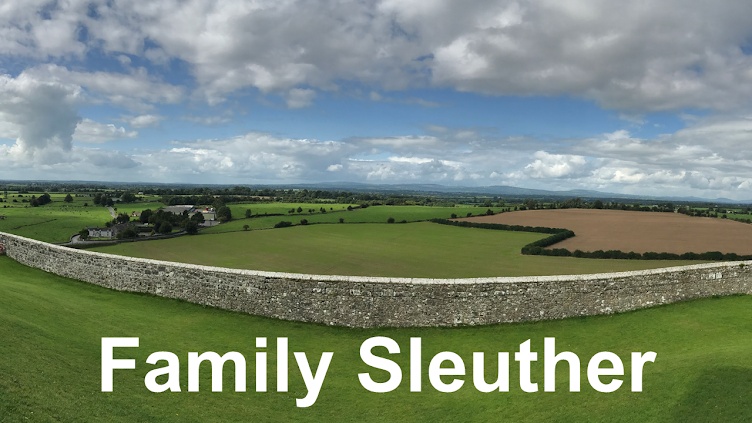 In the meantime, I wish all of us time-strapped genealogists a genetically tasteful and well-balanced dose of pedigree collapse.